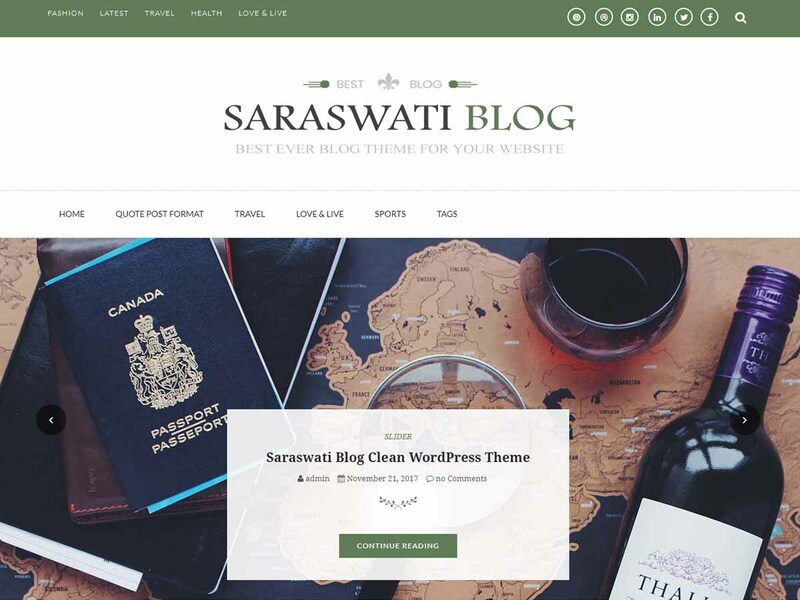 Saraswati Blog is a clean with modern and minimal design personal blog theme well suited for any types of blogs and magazines. Saraswati Blog is a handy tool for bloggers who wants to publish or share their stories through their WordPress websites. Added custom widgets for author, advertisement and recent post will make your site awesome. It is highly flexible due to the staggering amount of useful features, build in customizer with quality codes and it is very user-friendly theme to run your website. It is also responsive design, cross browser compatible and translation ready theme. Advertisement ready theme with lots of widgets area will help to add the advertisement on various places. Dedicated support team will help you on your every problems. Try this theme today, you will never think about alternatives.